I noticed in some of our classes when we are exploring something with our children, as parents, we want to help them through it. But by doing that we're often helping them too much and we're doing it for them. 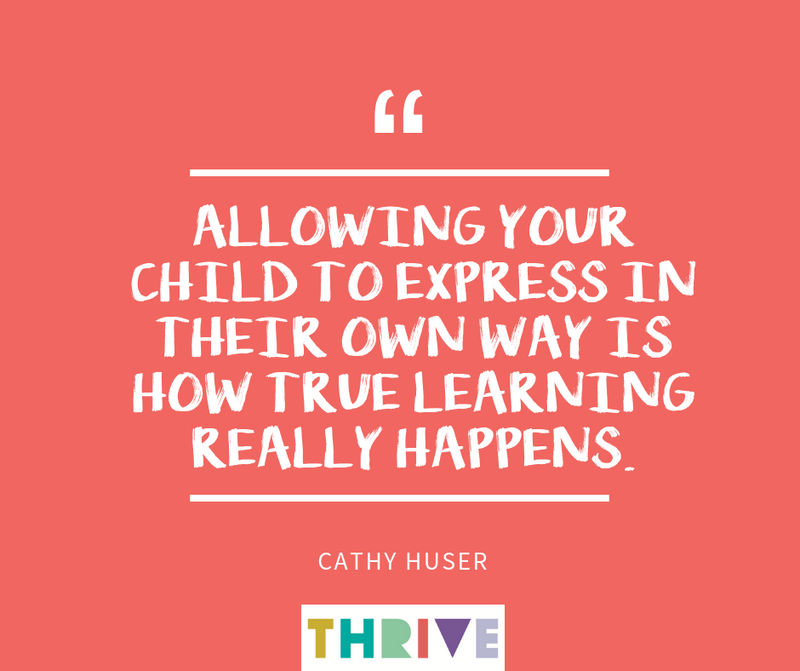 Allowing your child to express in their own way is how true learning really happens. Let's take instrument play in a music class for example. If we are playing resonator bells and we're working on keeping a steady beat, and we're working with two year olds, they often can't keep a steady beat. Parents naturally want to help them hold the mallets and keep a steady beat for them. And yes, you do want your child to feel the steady beat, but you can tap the steady beat on their backs and allow them to hold the mallets. They might pull them backwards. They might flip the resonator bells upside down and tap on the bottom part so you don't hear the beautiful ringing sound. They might tap on the little white rubber piece that doesn't make much of a sound at all, and that's okay, because that's how they are exploring the instrument. They're watching it, they're discovering it, they're experiencing it, they're feeling it, they're hearing different sounds. They're flipping it different ways to examine it. That's what learning is. It's that process of exploring. It's not about the end product of playing like the teacher played, or playing like WE think they should play. If we are always showing the child the end product of what SHOULD BE without allowing them to explore it fully in their own world, then they are going to be afraid to try new things. They are going to think that if they're not doing it the way YOU think they should be doing it, or the way a teacher in school thinks they should be doing it, they have a fear of failing. I cannot stress enough that it is so incredibly important to allow your child to explore and express without your preconceived notions. They see the world differently than you do. Their mind works differently than yours does. They are all about what's happening in the moment where you might be thinking about the end goal, or the end product, or the end performance. They're right here in the moment of learning. So it's really important to let them be in that moment and celebrate it. That's the way to praise your child so they don't have the fear of failure in trying things. Try this process today and let us know in the comments what you find!